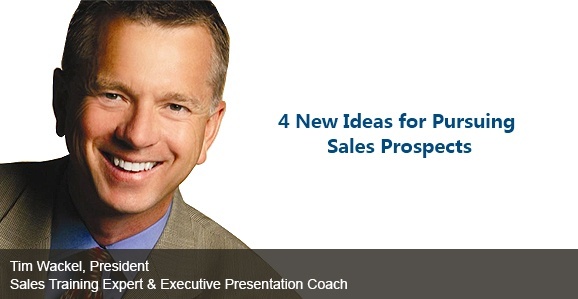 I am sure a lot of sales professionals try using LinkedIn for sales prospecting and selling. We have numerous articles, white papers, posts and literature that emphasize on how you can use LinkedIn as an effective selling platform. However, there are some golden rules you must follow to be able to identify, engage and follow up with your prospects for quality lead pipelines and improved sales conversions. Well, on the surface, these may appear to be very plain and simple. As you dig deep, you will realize that each one is important in its own way. Let me touch upon each of these points in a little more detail. Building Exclusive Lists– With platforms such as LinkedIn offering you multiple search criteria, you can always play around to identify prospects that do not fall into the “OFTEN CONTACTED” category. You can refine your search based on a multitude of criteria such as titles (special titles), location (suburbs), and industry verticals and so on. Reaching Decision Makers – With the ever growing popularity of social networks, especially, LinkedIn, you now have almost full information about the decision maker. Their LinkedIn profiles should give you some insights on how you can position yourself. You can try and engage them on LinkedIn through the direct messaging feature or contact them over business email. Use Social platforms – You should try investing more time in researching your prospects. Apart from LinkedIn, you should leverage social media to know more about your prospect. It helps to study their blogs, website, twitter, face book and other social profiles and engage with them. Well, calling or cold emailing is still not a dead method. However, social networks are certainly better starting points. Messaging – You will be able to tailor make your message better when you have a 360 degree view of your prospect. My famous method is always to compliment the decision maker on a recent achievement. It shows you really want to engage with them. I believe and advocate the fact that effective prospect research is the first starting point for a sales dialog. Follow Up – Most prospects go cold because sales professionals fail to follow up enough. A recent study showed that around 30% conversions happened on the 15th contact. You need to have a calendar in place and follow up till you get an answer. It is either a YES or a NO. It cannot be anything else. eMail-Prospector Pro is a sales prospecting tool used by 100s of sales, marketing and business development professionals to find and reach C-level executives / decision makers from social networks, company websites and from any online directory/listing. The sales prospecting tool helps you to find business email address and phone numbers of any prospect in no time. 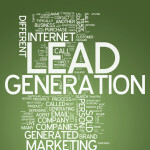 I am an expert in social lead generation and social media prospecting. I use and market tools and can help sales and marketing professionals in targeted prospecting for improved responses and conversions.